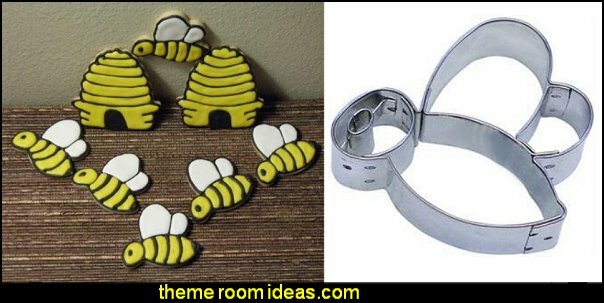 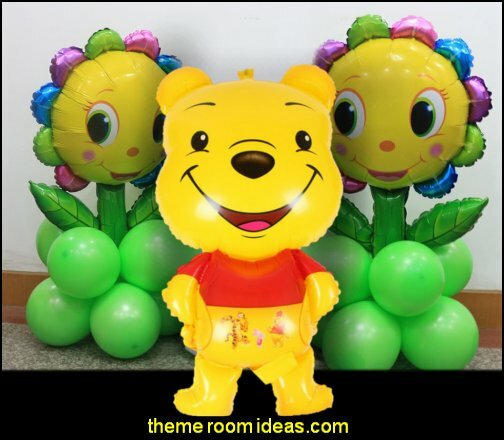 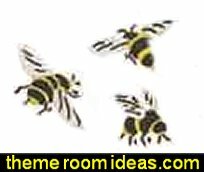 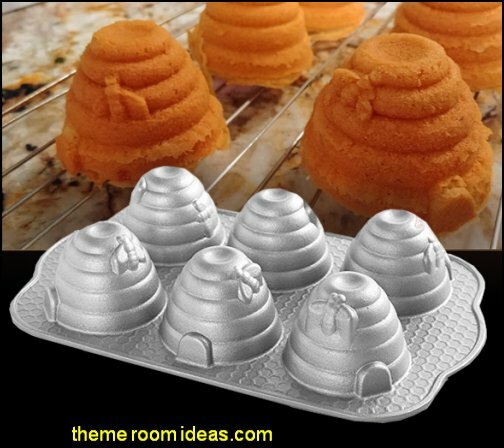 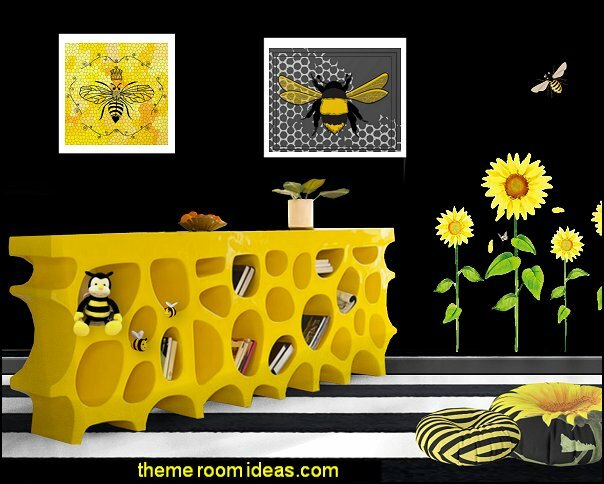 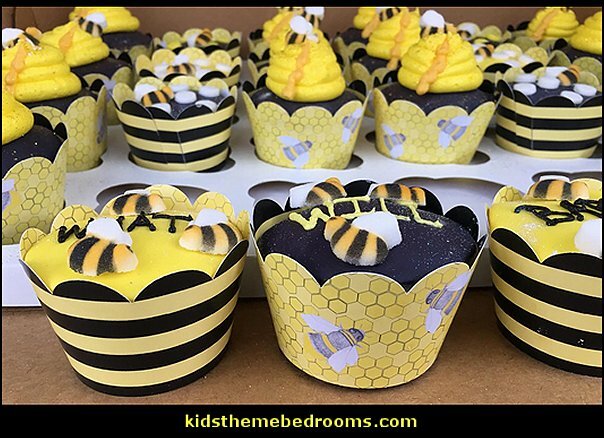 Pollinate, I mean decorate your bee hive in shades of soft yellows and accent with bold black, and splashings of white and gray. 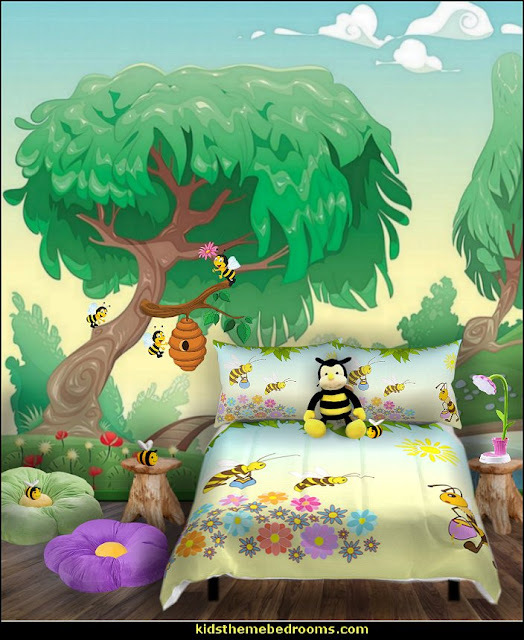 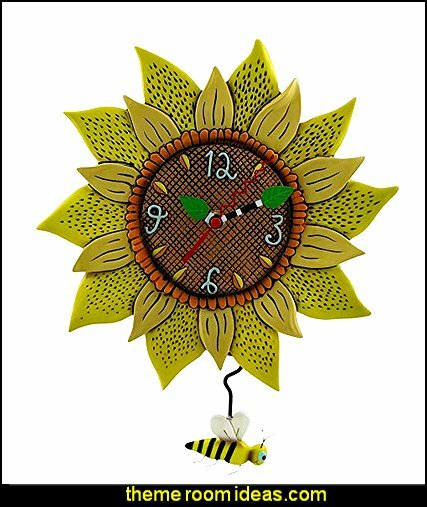 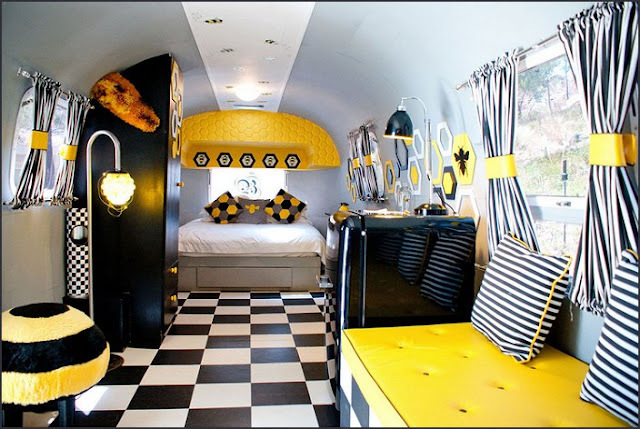 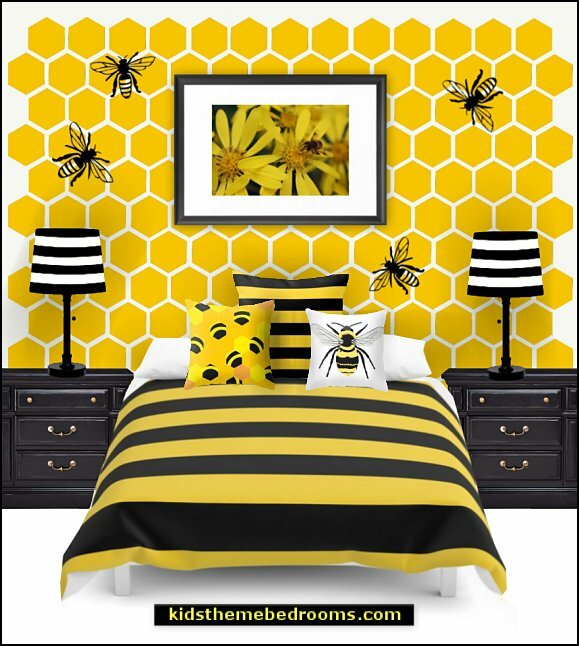 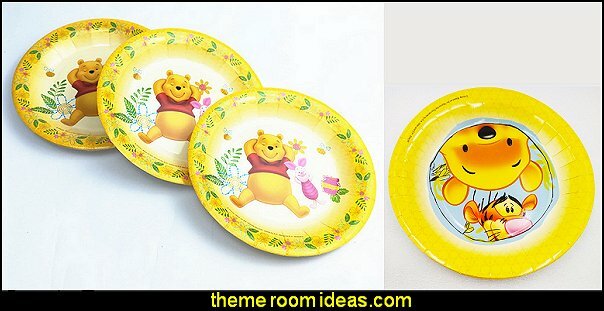 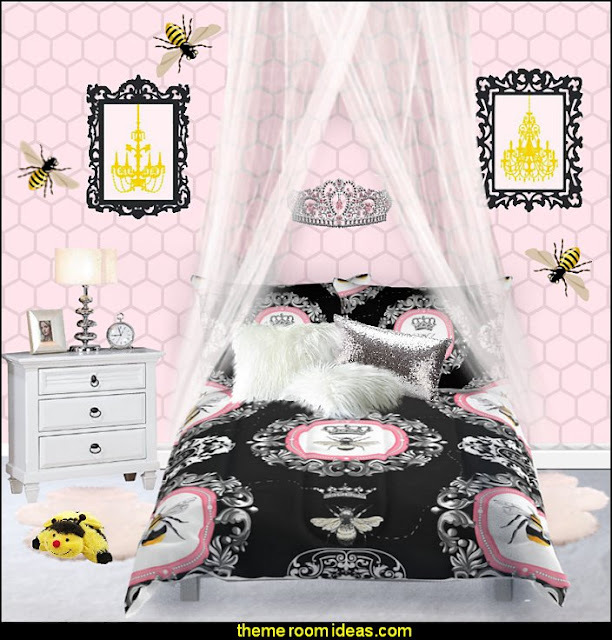 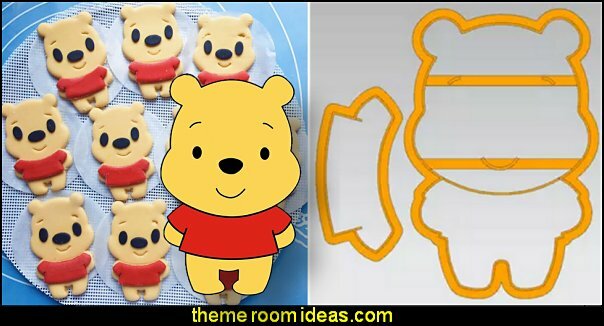 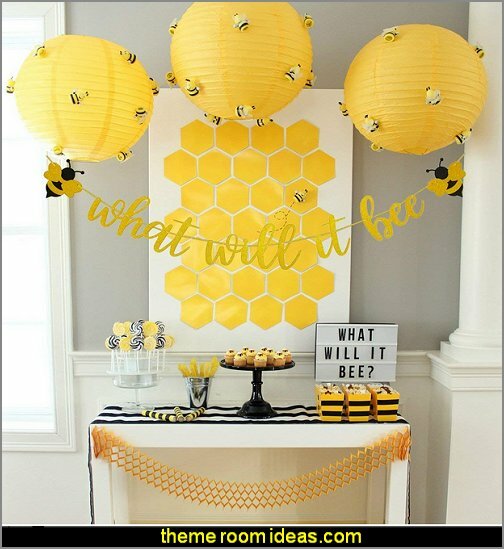 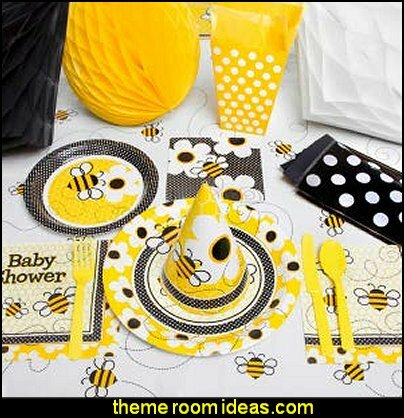 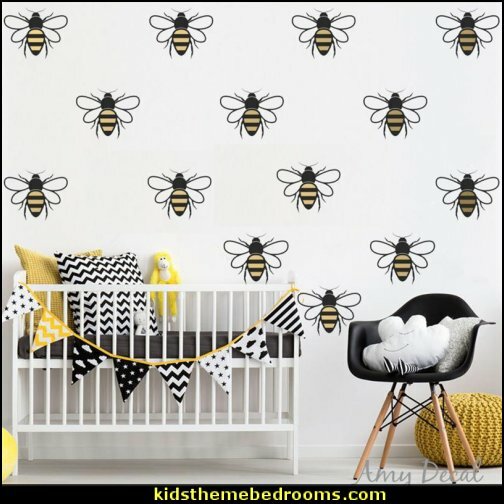 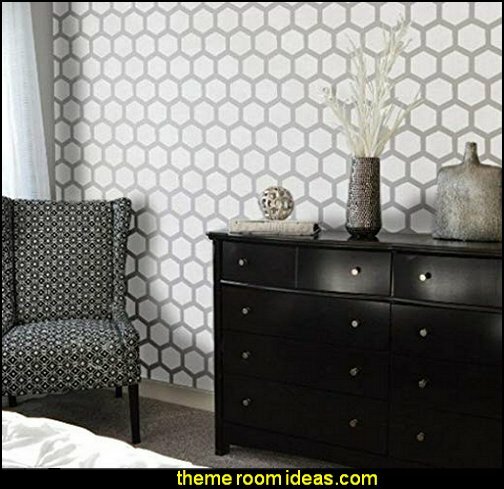 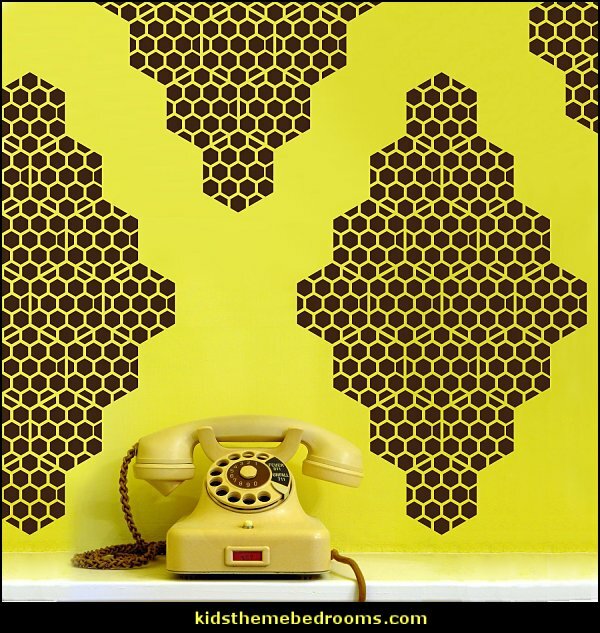 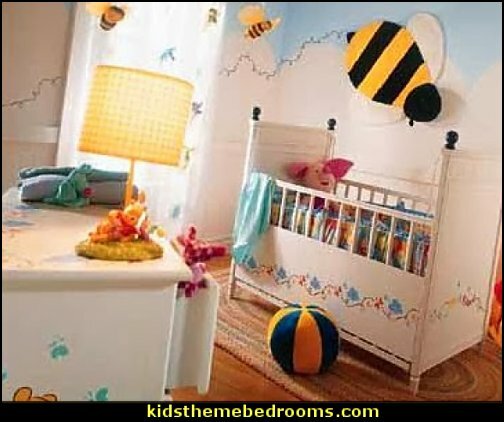 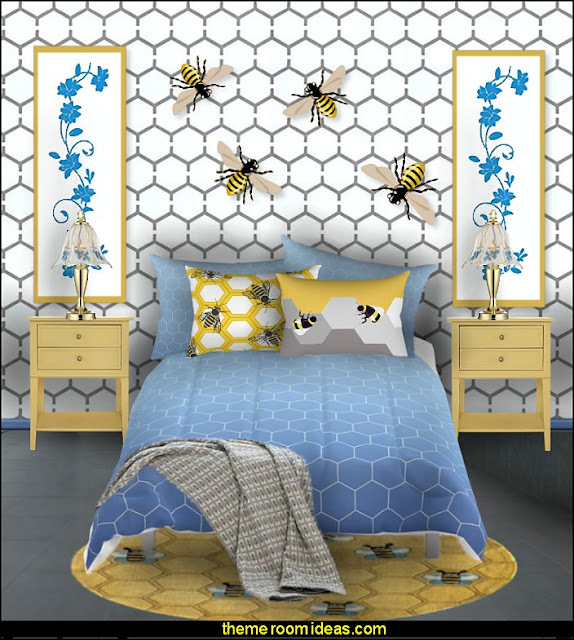 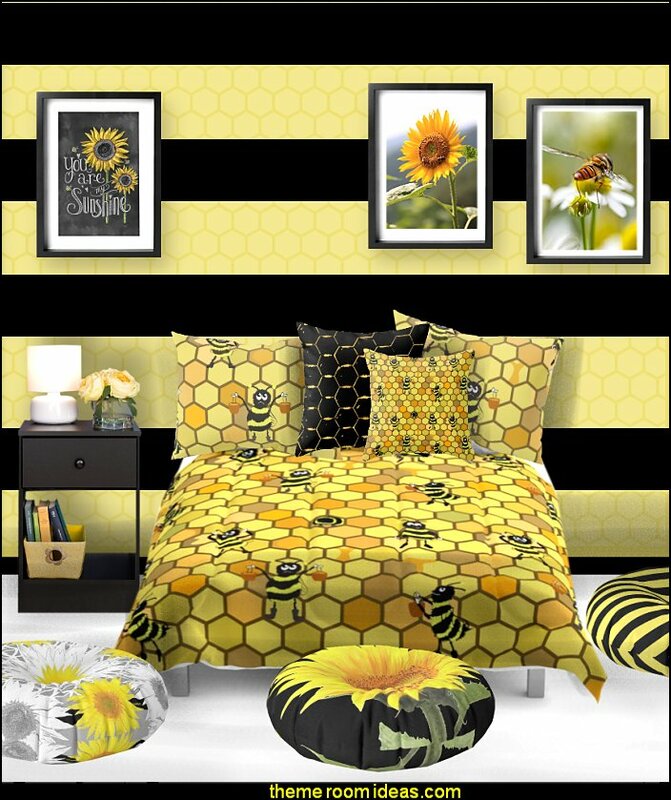 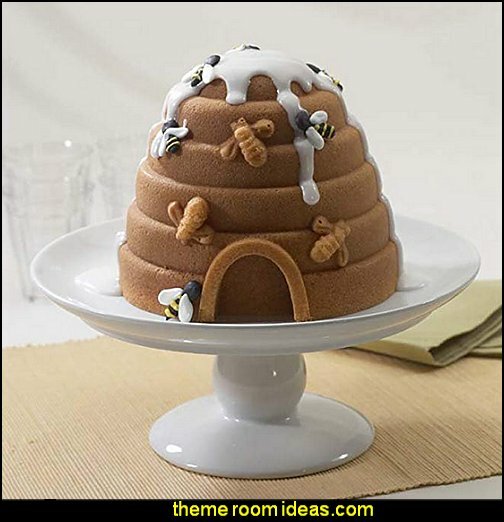 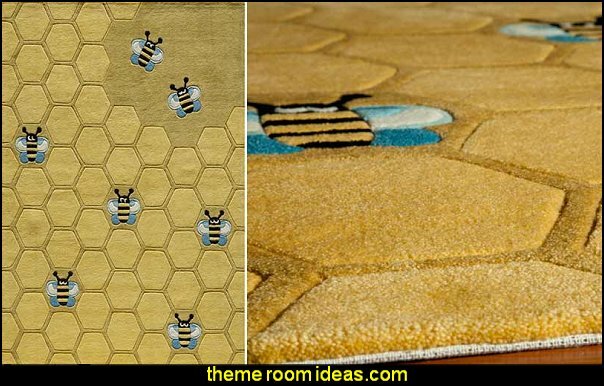 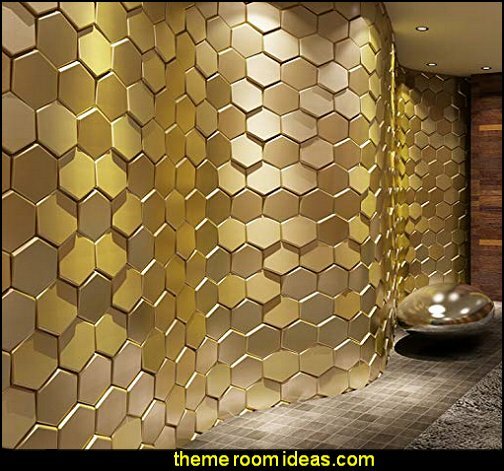 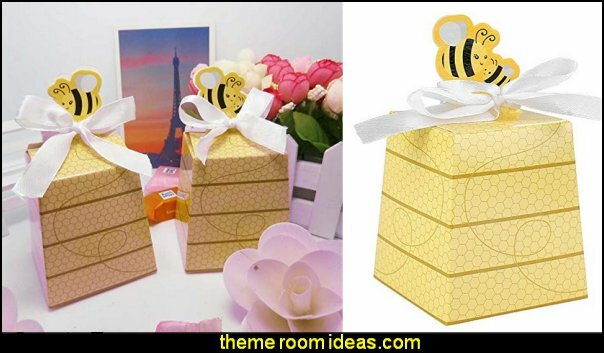 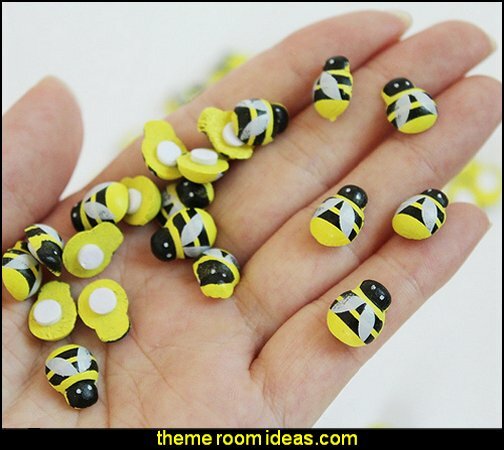 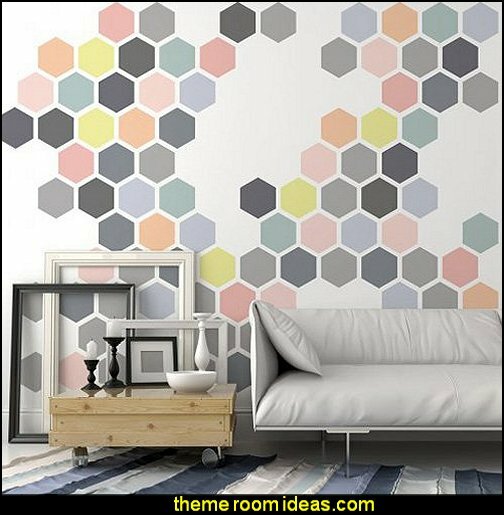 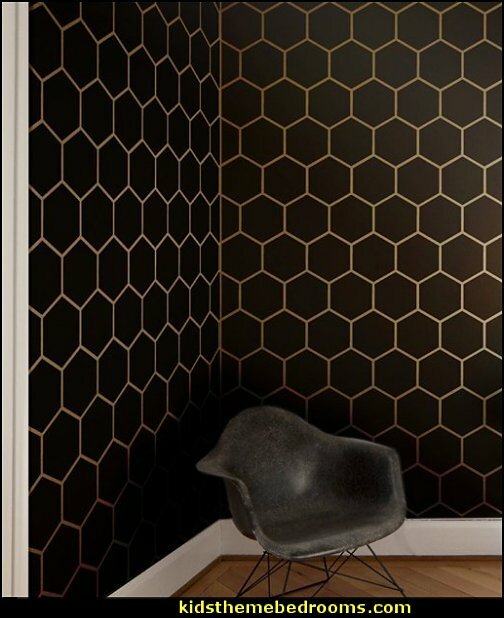 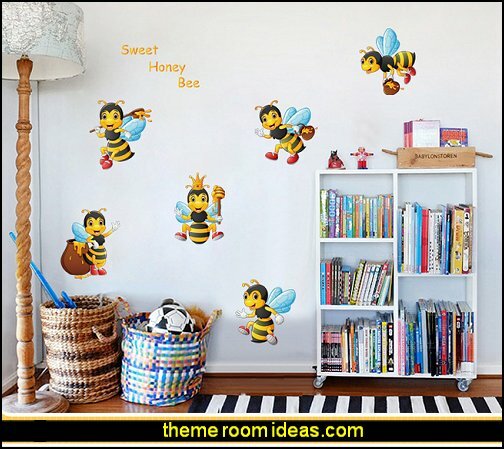 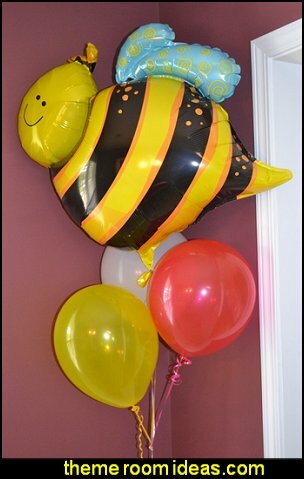 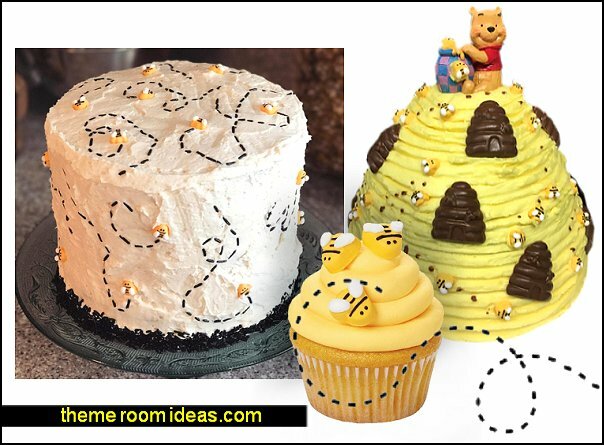 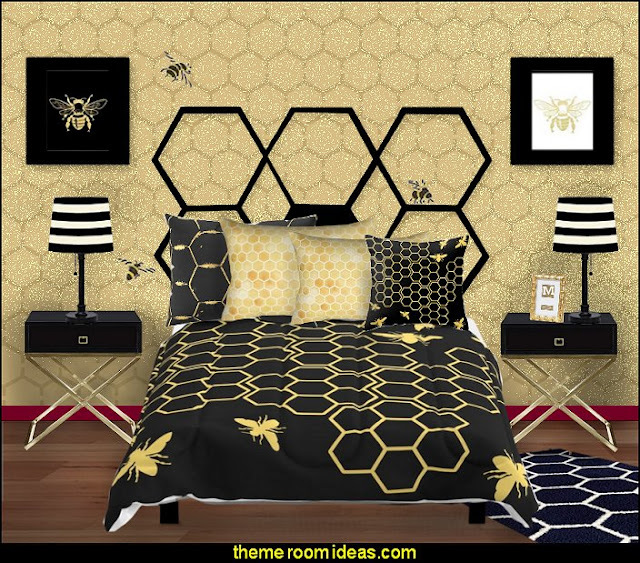 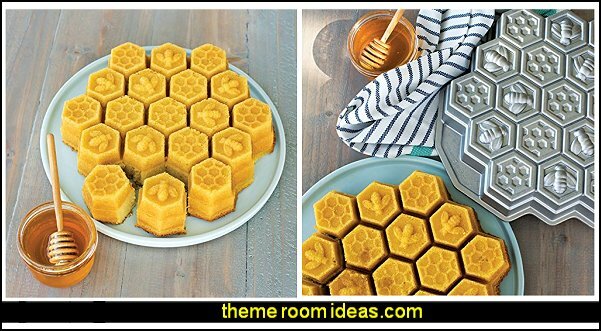 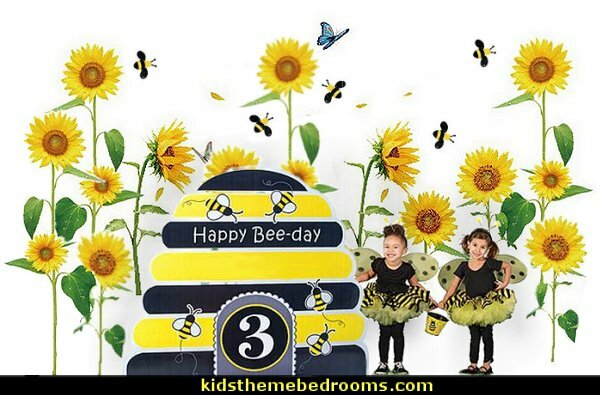 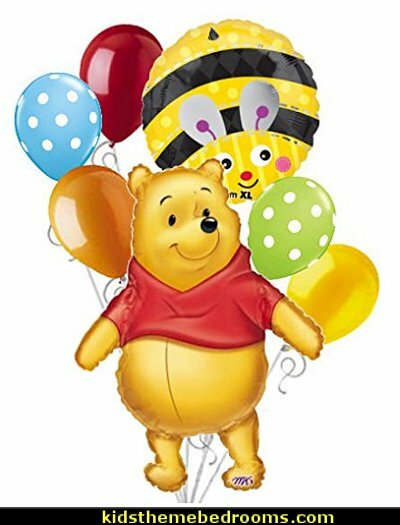 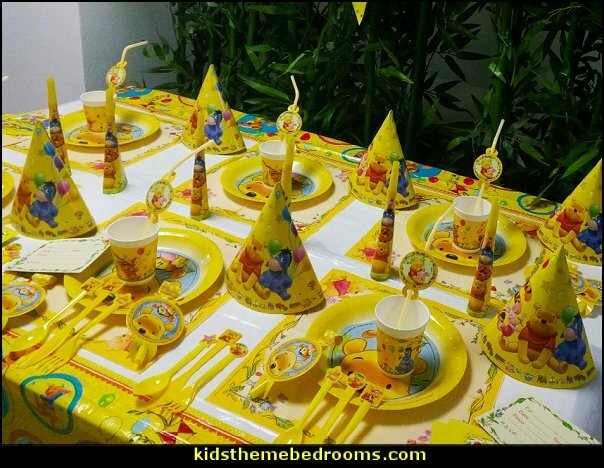 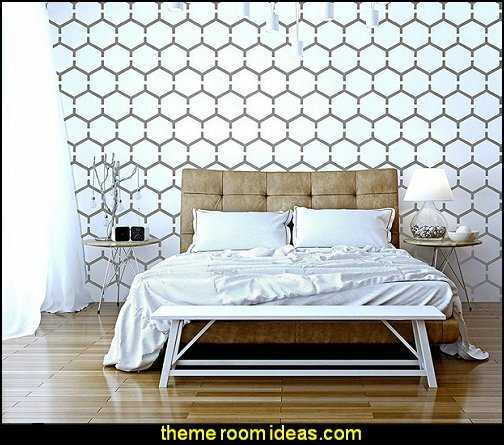 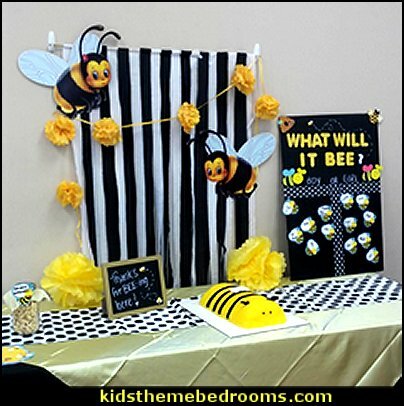 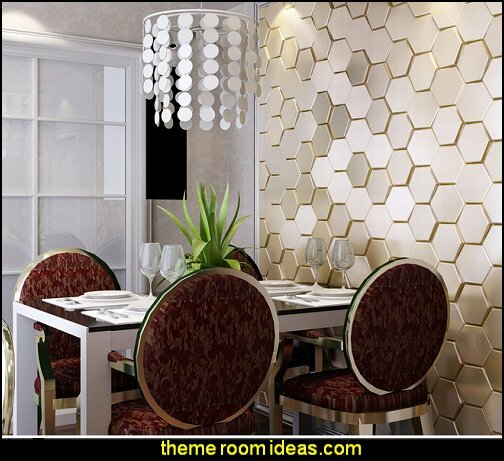 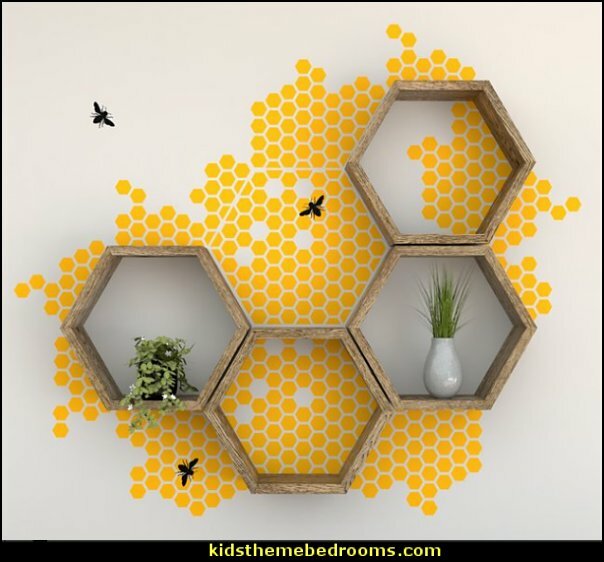 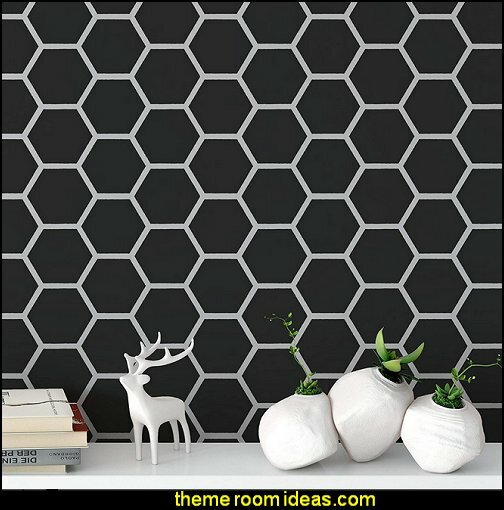 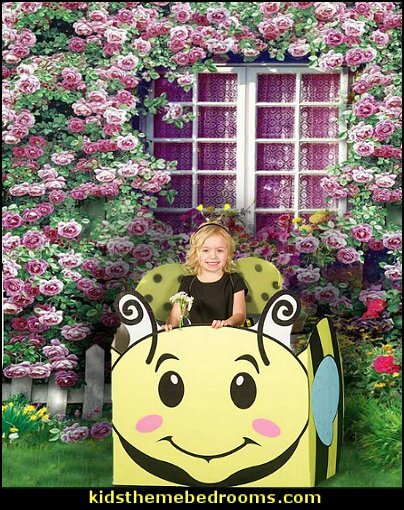 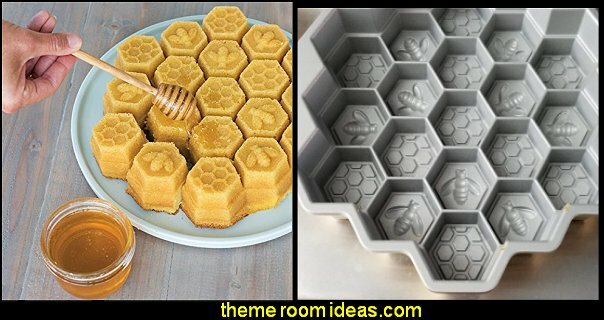 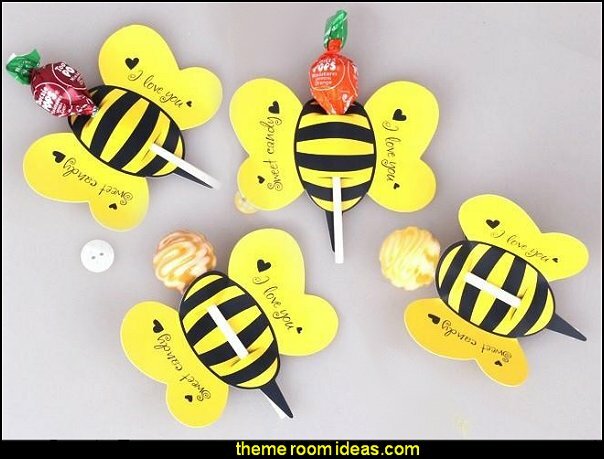 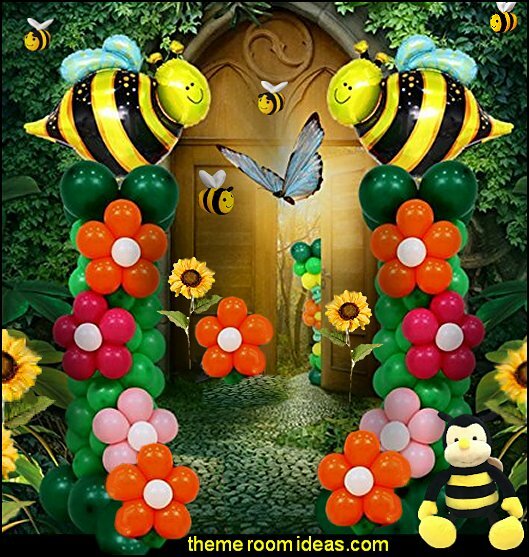 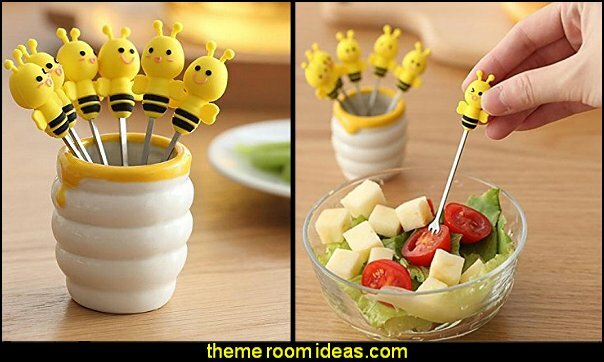 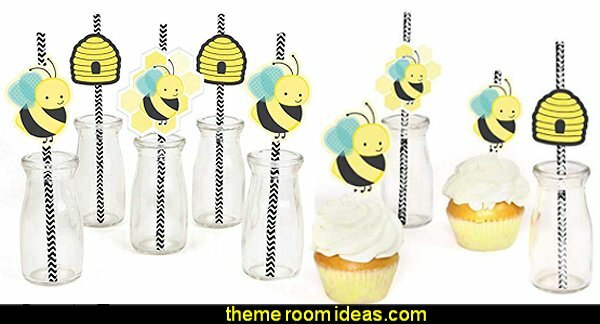 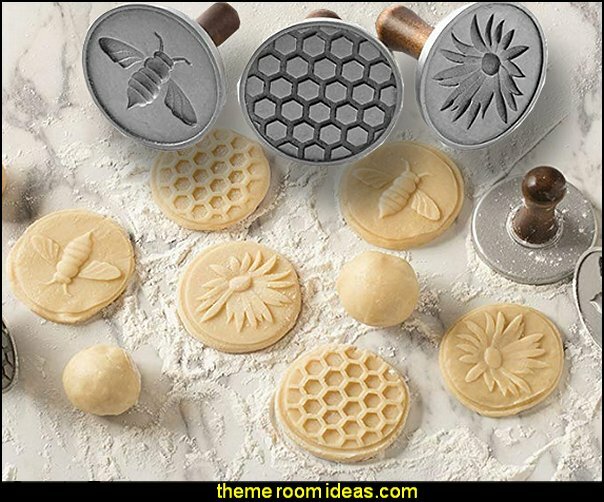 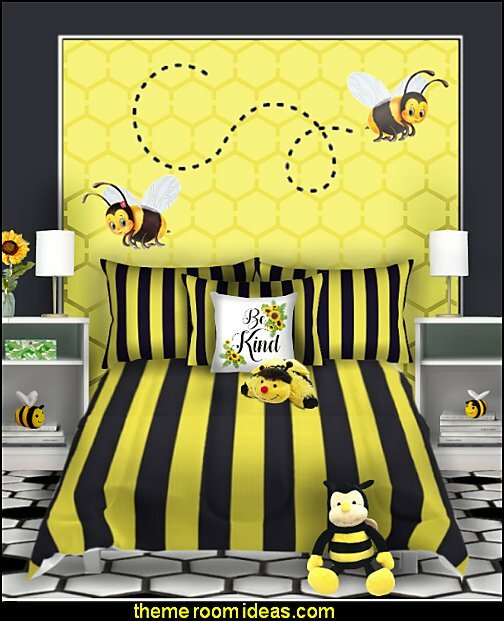 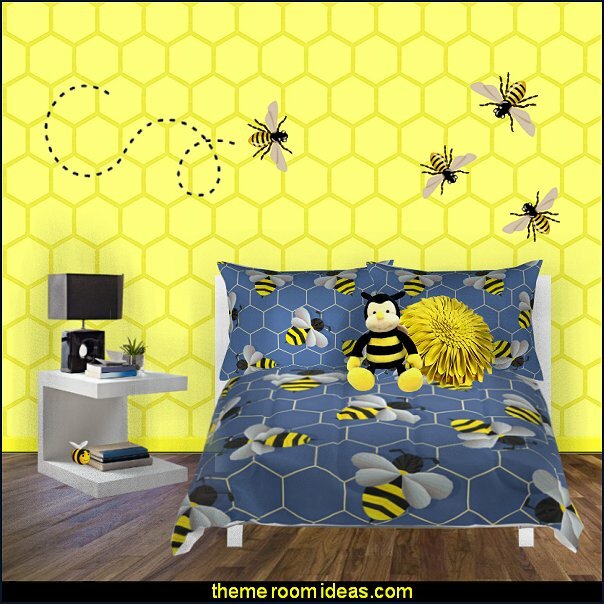 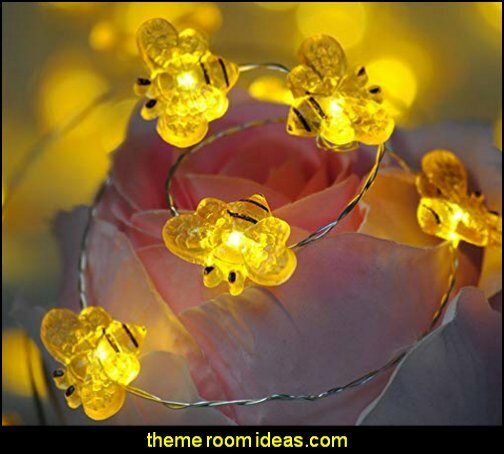 Stripes, Polka Dots and hexagonal honeycomb patterns will also enhance this bee-autiful decorating theme. 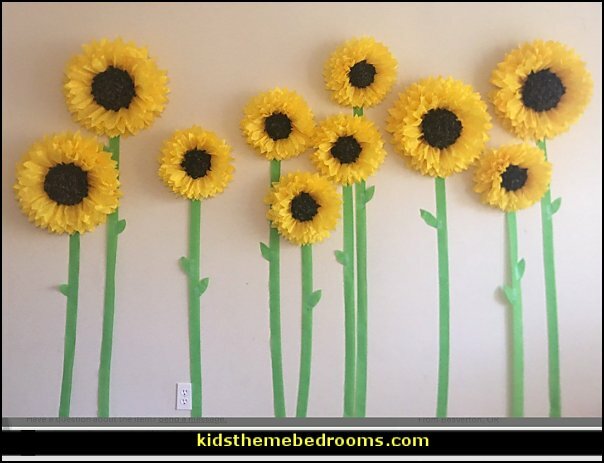 This set of tissue paper sunflowers really makes a wall or backdrop pop with ten giant blooms! 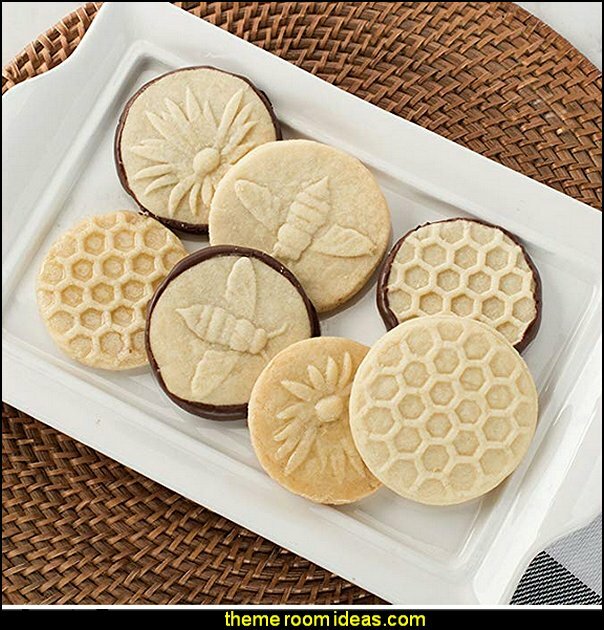 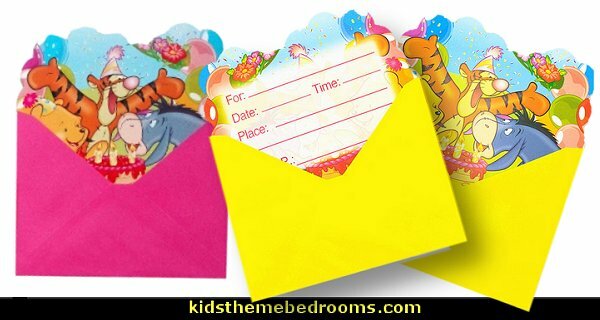 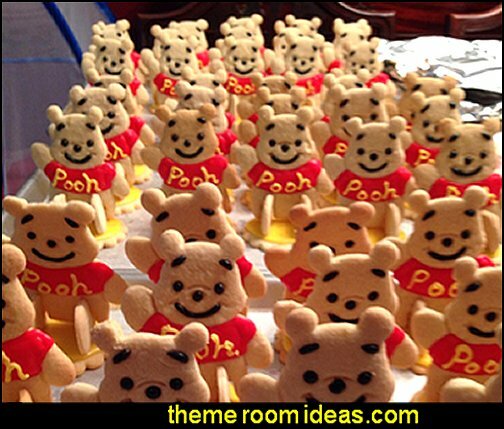 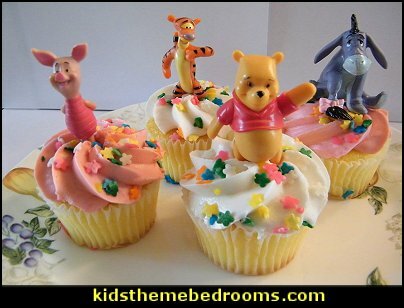 Beautiful for rustic weddings, bridal showers, graduation parties and more. 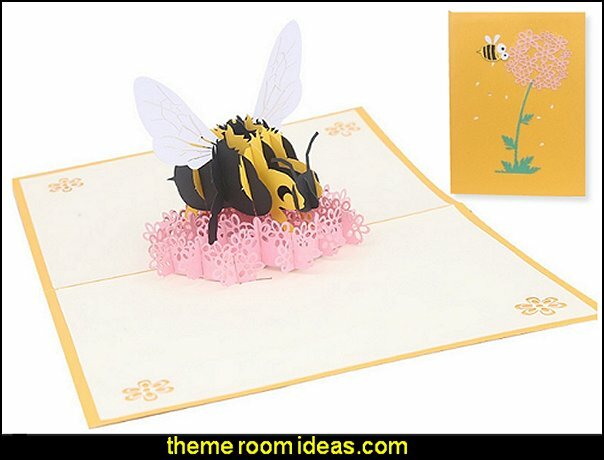 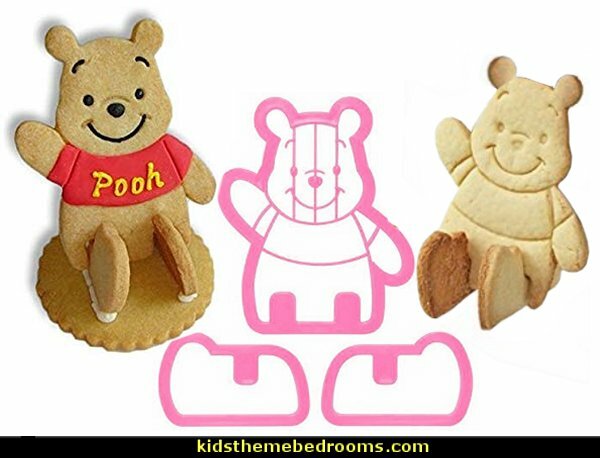 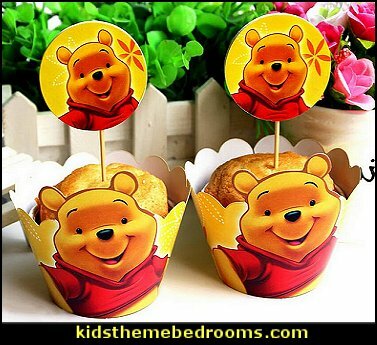 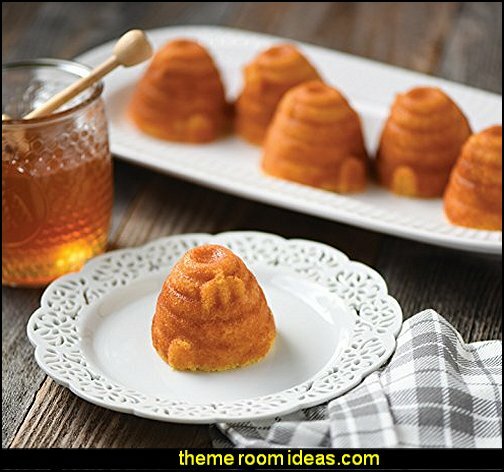 Tots enjoy a delightful game of hide-and-seek…with a soft, plush beehive that’s buzzing with sensory fun! 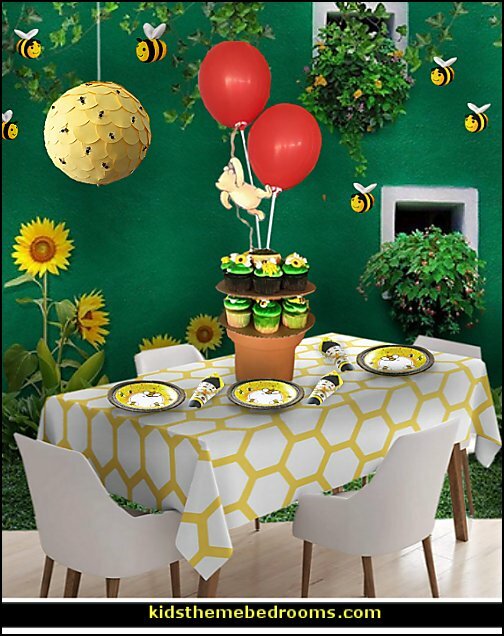 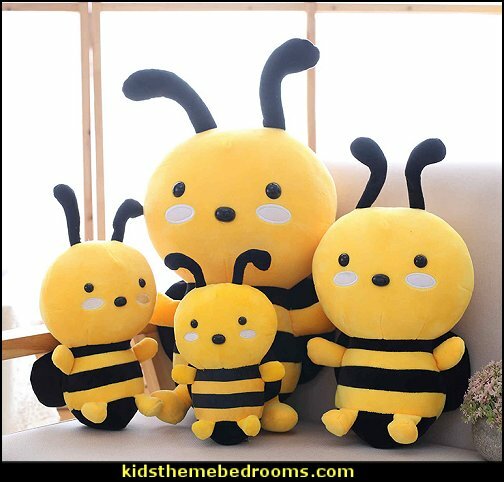 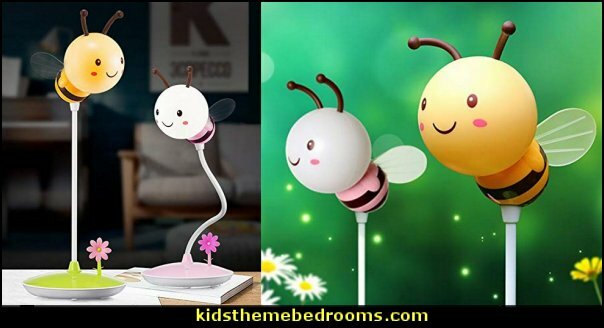 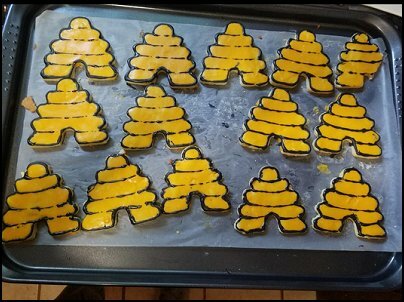 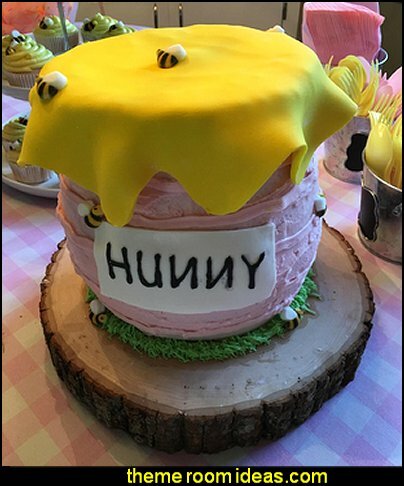 Designed to help children understand object permanence, our 8" hive includes 5 cute bees that jingle, rattle, crinkle & squeak. 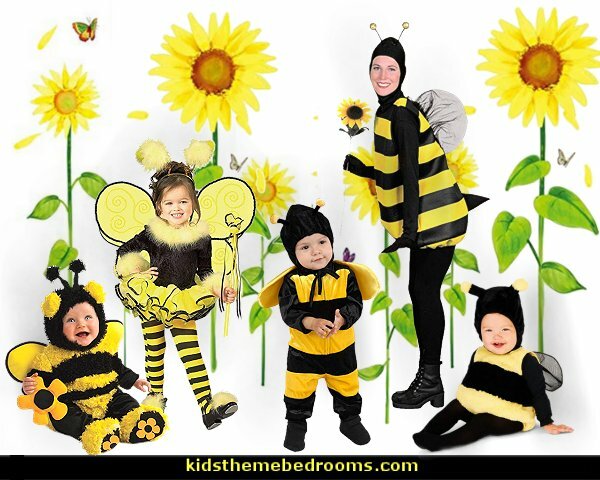 Children just flip open the hive to hide the bees inside, then pull them through the peekaboo door one by one! vening in the jungle is when animals gather at the water's edge. 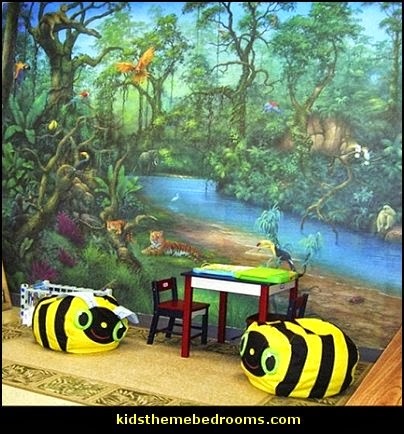 Cranes, toucans and other exotic birds share space with tigers, chimps and even a rhinoceros. 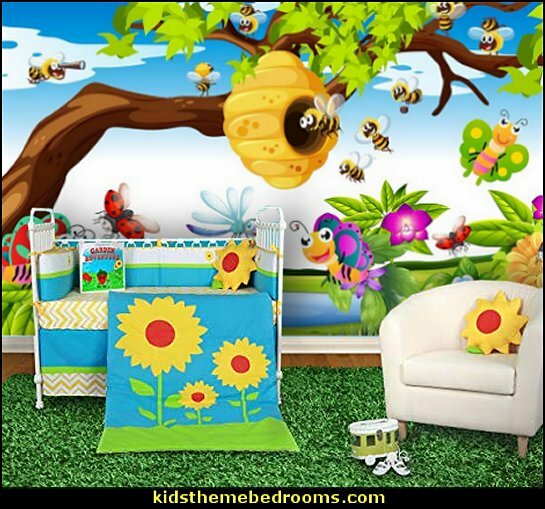 The soft blue of the stream contrasts nicely with the rich green foliage in a mural so inviting you'll be tempted to smell the flowers.